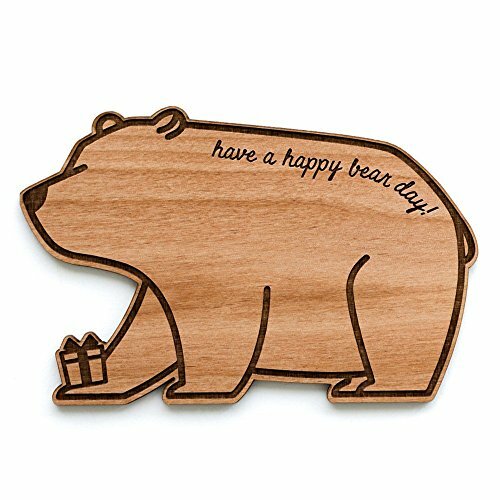 All our cards are sourced from sustainable wood and are laser cut to carve out each unique design. Celebrate a friend's or loved one's special day with a wonderful keepsake they can proudly display all year. Add a personal touch! We can engrave a custom message (up to 120 characters) on the back of the card. This add-on is the perfect option to turn your card into a personalized gift! • Please note! We CAN NOT alter the design on the front. • How to order: Purchase the customization option for an additional $7.50 before adding the card to your cart. View More In Notecards & Greeting Cards. If you have any questions about this product by Cardtorial, contact us by completing and submitting the form below. If you are looking for a specif part number, please include it with your message.